The weather has been really cold but fine which has been perfect for birdwatching. 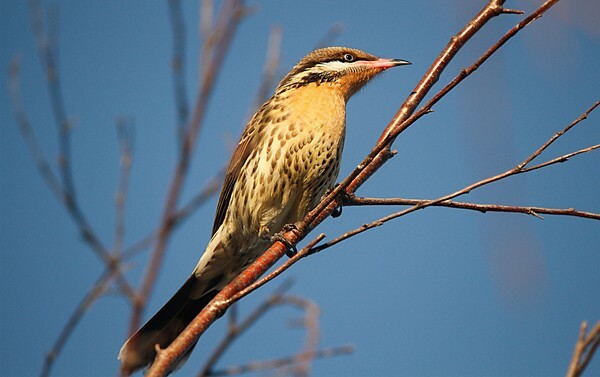 I’ve been woken most mornings with the gargling and whistling sounds of spiny-cheeked honeyeaters in my garden, which I have loved. 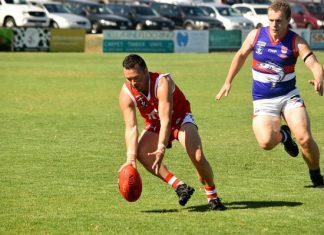 I had a few days off work with a cold, and was sitting in the lounge room watching the spiny-cheeked honeyeaters and red-rumped parrots in the garden, when suddenly all of the birds flew off in panic. One bird hit the window so hard that I’m surprised that the bird didn’t drop down on the ground or that window didn’t shatter. I lost track of the female red-rumped parrot, and was worried that she’d been taken by a predator, but to my relief the pair of red-rumps returned to my garden the next morning. 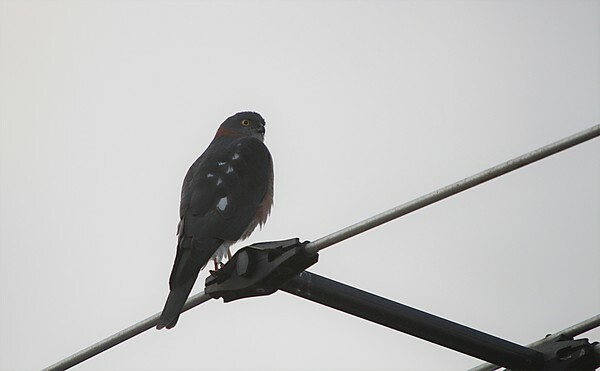 I did see a collared sparrowhawk (CSH) on the next door neighbour’s TV aerial about an hour after the birds flew off in panic, so I think it was the culprit. I think it was a CSH (and not a brown goshawk) because of the wide-eyed expression, small head and square shaped tail, but the two birds are very alike, so I could be wrong. 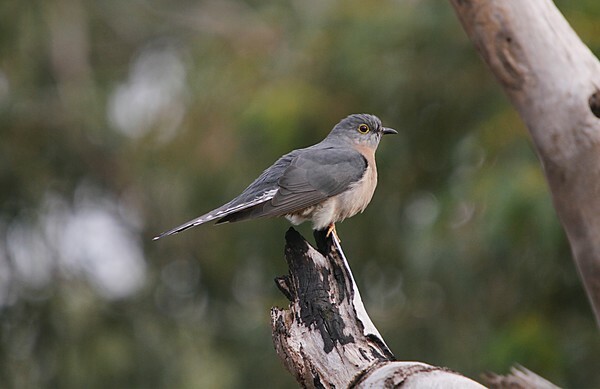 The fan-tailed cuckoo can be differentiated from other cuckoos by a yellow eye ring, dark grey back and wings, and a barred black and white under tail. 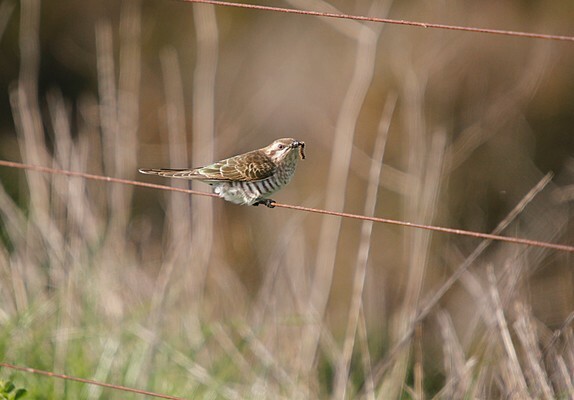 I had a quick visit to Western Treatment Plant one day and heard the distinctive sound of a Horsfield’s bronze cuckoo, and sure enough there were two of these birds feeding on worms while sitting on a fence. The Horsfield’s bronze cuckoo makes a sound like a high-pitched whistle with a slight buzz thrown in for good measure. I think I’ve been going ‘cuckoo’ listening to cuckoos over the past few weeks, but it certainly is a nice pastime. 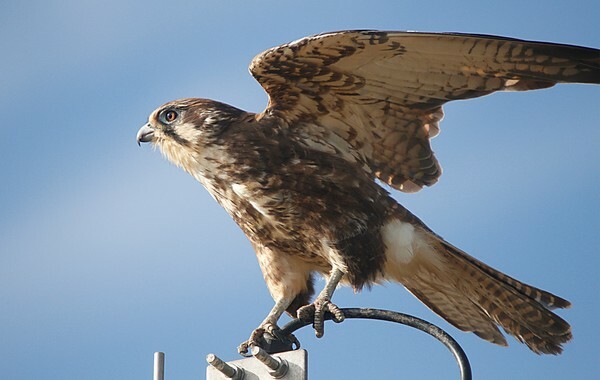 At Western Treatment Plant, I also saw a flock of blue-winged parrots, a whistling kite feeding while flying, and a very close photo opportunity with both a brown falcon and two black-shouldered kites. A great day indeed! My daughter played netball in Torquay, so I took an opportunity for a quick visit to Anglesea Heath on a beautiful winter’s day. The most exciting birds I saw (the heath was very quiet indeed) were a flock of striated thornbills moving rapidly from tree to tree, and a few white-eared honeyeaters, which are common in the heath but beautiful nevertheless. 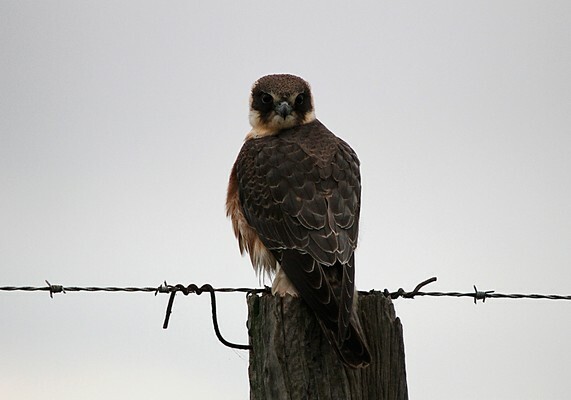 In Curlewis, I had a very close, early morning, encounter with an Australian hobby that must have been so cold sitting on a fence post that it chose to stay there and pose rather than fly away. I also photographed my favourite little eagle in its usual dead tree perch on the Bellarine Highway opposite the Flying Brick Cider. I think I like the little eagle a lot more than it likes me, so I’ve resolved not to stop the car when I see it again, and let it enjoy it’s dead tree perch. 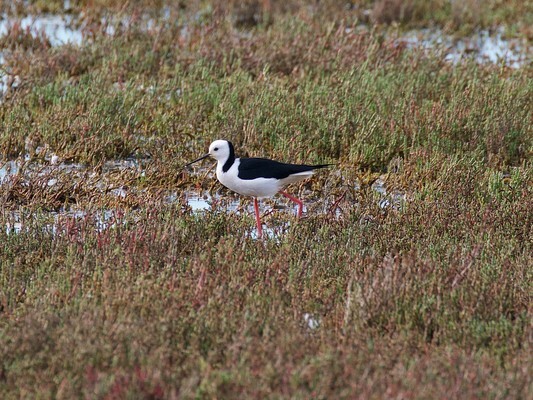 I received an email from Kevin, who sent me a photo of a brown falcon and black-winged stilt which he had photographed in Breamlea. Thanks so much Kevin for sharing your observations and lovely photographs. If you are interested in partaking in some organised bird watching activities, you can access the calendar of activities run by the Bellarine Birdlife group at www.birdlife.org.au/locations/birdlife-bellarine-peninsula. I’m off to northern New South Wales next week, so will report back on some great sights up there (I hope).